Provide comfort for the family of Anton Breunig with a meaningful gesture of sympathy. Mr. Anton ‘Tony’ Breunig of Red Deer, Alberta, passed away peacefully surrounded by his family, on Saturday, March 23, 2019 at the age of 88 years. Tony will be lovingly remembered by his wife of sixty-two years, Agnes; his seven children, Andrew (Cathy), Fred, Mike (Kathy), Joe, Pauline (Rob), Caroline, and Charles; his grandchildren and great grandchildren; and his sister, Anne Desnoyers. Tony was predeceased by his parents, Anton and Marie Breunig and a sister, Clara. The family extends special thanks to Dr. Odendaal, the Palliative Nurses and Home Care Staff, for their loving care and support during his final days. Prayers will be held at Parkland Funeral Home, 6287 – 67 A Street (Taylor Drive), Red Deer, Alberta on Thursday, March 28, 2019 at 7:00 p.m. Funeral Mass will be celebrated at St. Mary’s Catholic Church, 6 McMillan Avenue, Red Deer, Alberta on Friday, March 29, 2019 at 2:00 p.m. with The Reverend Father Les Drewicki Celebrant. Interment will follow at the Mount Calvary Cemetery, Red Deer, Alberta. Condolences may be sent or viewed at www.parklandfuneralhome.com. Arrangements in care of Parkland Funeral Home and Crematorium, 6287 – 67 A Street (Taylor Drive), Red Deer. 403.340.4040. 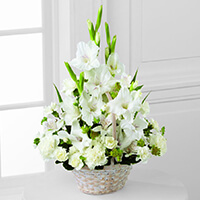 To send flowers in memory of Anton "Tony" Breunig, please visit our Heartfelt Sympathies Store. Joe, Fred, and others have sent flowers to the family of Anton "Tony" Breunig. Joe purchased the The FTD Living Spirit Dishgarden for the family of Anton Breunig. 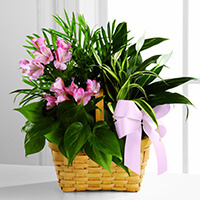 Fred purchased the The FTD Eternal Affection Arrangement for the family of Anton Breunig. 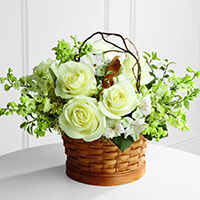 Ignatz & Maria Luken and Family purchased the The FTD Peaceful Garden Basket for the family of Anton Breunig.